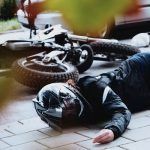 I have represented a significant number of clients over the years injured in motorcycle accidents. 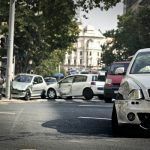 As such, I am always interested to learn about new gear and safety devices that might help diminish, or prevent, injuries commonly suffered by people involved in these often horrible collisions. Motorcycle wear company Dainese recently announced a jacket, called the Misano 1000, that includes a built-in airbag and all of the tech necessary to automatically know when to deploy it. The jacket works by activating its sensors 800 times a second to monitor their wearer. When they detect an accident, the jacket will inflate about two inches in the areas where an airbag is present, with the intention of protecting the wearer’s collar bone, chest, and back, as well as keeping strain off of the neck. 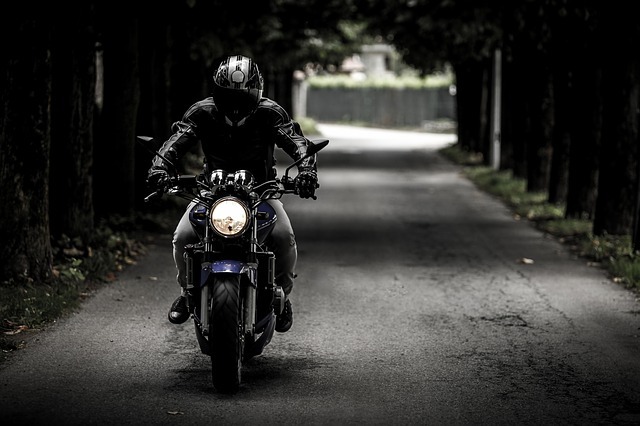 Certainly, injuries to rider’s collar bone, chest, neck and back are some of the most common motorcycle accident injuries. Trauma to the vertebral column, disturbing the relationships between the bony vertebrae and the spinal nerve roots as they exit from the vertebral column, can result in a painful irritation of the nerve roots. 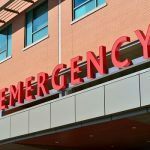 Several categories of injury can be distinguished between relatively mild blunt trauma that leads to bruising, to injuries requiring surgical intervention. Also common in motorcycle accidents are brachial plexus injuries. The brachial plexus is a complex network of nerves near the shoulder and neck. The nerves actually begin at the level of the spinal cord in the cervical area and are responsible for controlling function of the shoulder, elbow, wrist, and hand. The brachial plexus looks like a bundle of electrical cable all wrapped up in insulation. An improved jacket may diminish the risk of such an injury. I’m Ed Smith, a West Sacramento Personal Injury Attorney. I have over 30 years of experience handling injury claims in Yolo and Sacramento County. 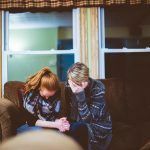 If you or someone you love were injured in an accident, please call me today for a free, friendly discussion and review of your personal injury case. I can be reached at (916) 921-6400. If you are outside of the (916) area, simply dial toll free at (800) 404-5400. It is always a good idea to check customer reviews in advance. Check my reviews here: Google and Yelp. Feel free to look me up on Avvo, an attorney rating site. I am a proud member of the Million Dollar Advocates Forum. We are a group of trial lawyers who have won multiple Million Dollar settlements and verdicts.